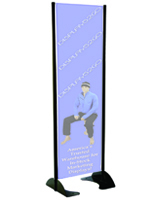 Designed for outdoor mounting, this 24” x 72” black permanent banner stand can sustain up to 60 MPH winds and most inclement weather conditions. 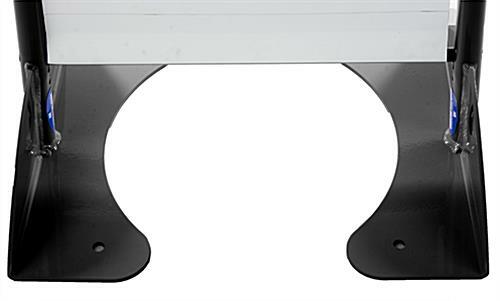 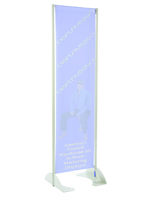 The large format sign holder is constructed from 100% aluminum with a powder coated finish for durability and long term exterior use. 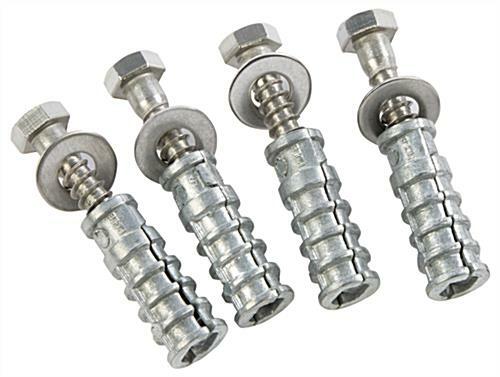 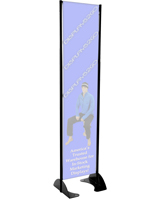 Each outdoor banner stand is engineered with a spring loaded tension bar to keep the materials within taut at all times. 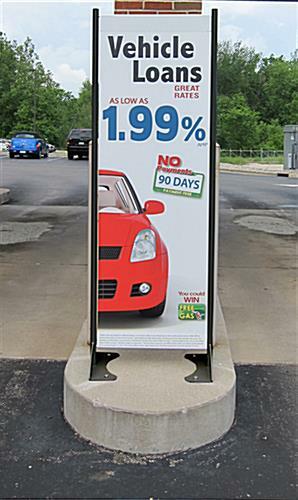 The exterior mounting sign holder is a great marketing tool for use in locations such as parks, zoos, shopping mall parking ramps and banking islands! 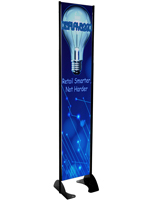 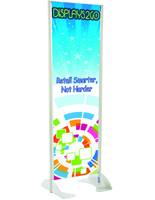 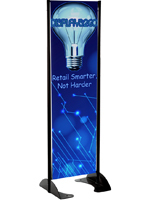 Featuring a full color single sided graphic, the banner stand is sure to capture the attention of passersby in high traffic environments! 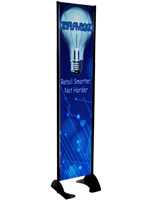 Place the custom signage in a highly visible location for your business to give your advertisement the most exposure!